Every year, the Educational Testing Service (ETS) -- yes, the folks behind the SAT -- invites over a thousand high school and college educators to Salt Lake City to read and score essays from the AP World History exam. Somebody's gotta do it, right? But I've heard from several attendees who say this year's gathering was marred by "rampant cultural appropriation, cultural insensitivity, and straight up racism." One of this year's essay questions asked students to discuss Chinese Communism. This apparently became an excuse for organizers to run wild with a week filled with all sorts of culturally insensitive jokes and anti-Asian imagery, from inappropriate comments by the Chief Reader to a t-shirt emblazoned with racist caricatures. The Chief Reader, who supervised the event, reportedly made jokes about the Tiananmen Square Massacre "Tank Man" ("You don't want to be that guy.") 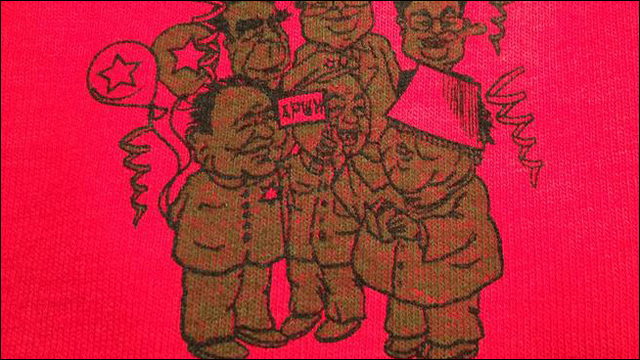 while wearing a Red Guard cap of the Cultural Revolution. He was reportedly one of many people wearing such a cap that week. 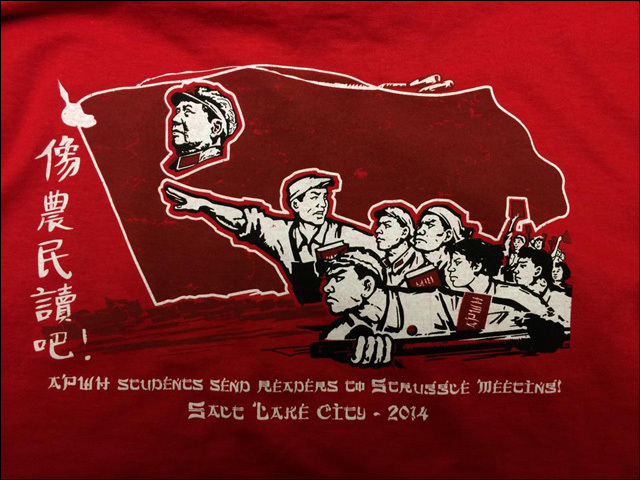 To top it all off, each year, the leadership produces souvenir t-shirt to commemorate the reading. It's available for purchase to participants, and the design usually reflects the subject matter of one of the essay questions. You can probably guess how that turned out for this year's reading. Here are the designs for this year's shirt. 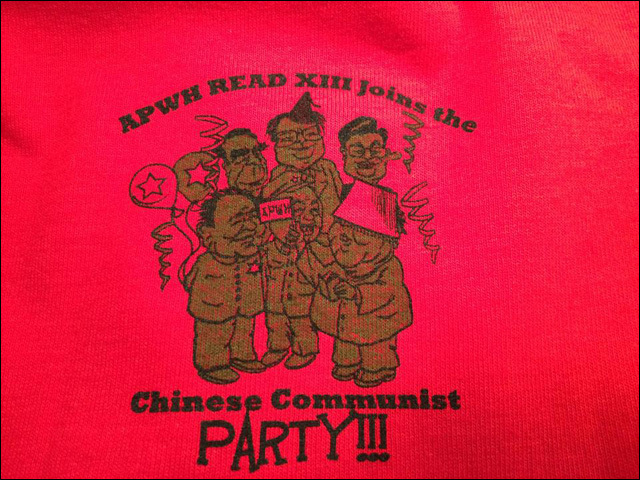 These shirts were apparently printed up despite complaints from several Asian American participants that the designs were offensive. Nothing like racial and cultural mockery and some good ol' orientalist fonts to commemorate a week of educational testing. Was any of this really necessary? This is like the nerd educator's version of a racist-theme frat party. I hope someone posted photos. Education!